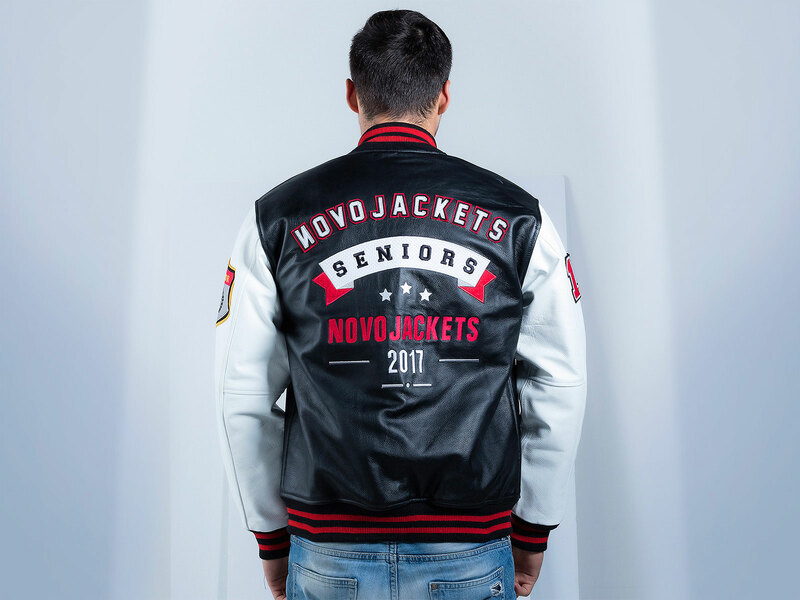 Fresh from the fashion scenes, this leather custom varsity / letterman jacket is a must have part of your wardrobe this season. Crafted from the most genuine and durable cowhide leather. Adding felt patches and embroideries can make this custom leather letterman jacket is your one-way ticket to the current “hip” trend. The complete leather varsity jacket is immune to cold, is water and dirt resistant without compromising with style. Gender no bar! 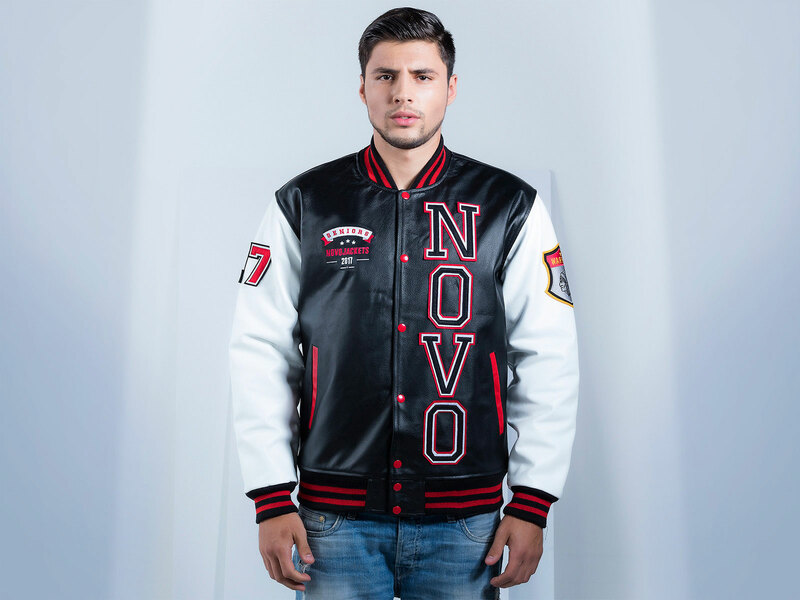 Whether you are looking for men letterman jacket or women letterman jacket, this is the one. 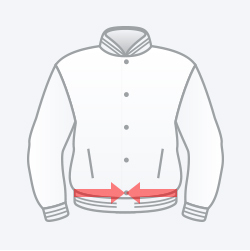 Geeks, jocks, high schoolers, graduate students, fashionistas, teams, this varsity jacket is fit for one and all. Customize this jacket with your own logos and patches. The genuine cowhide leather used in custom varsity jackets, which we have used in this custom varsity jacket, has been sourced from the most genuine origins, tested for its durability. Genuine and tough, the leather of this jacket is going to protect you from the worst weather, dirt and rain. Looking for the authentic varsity feeling? 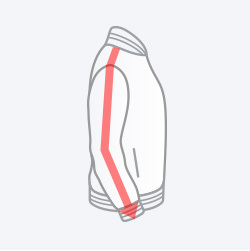 Our 1×1 acrylic knitting made from 100% acrylic fiber will hold the jacket together longer and more effortlessly. Made to last for years without wrinkling or stretching, this is just the thing to own. Want more option for the knit? go for polyester knit. 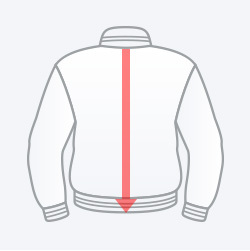 The best quality of thick quilted lining with dacron fibers filler used in the letterman jacket, in order to provide the most comfort and best possible insulation from cold weather conditions. The lining has been laser stitched for durability, longitivity and endurance. But if thick lining is not your cup of tea, then you can easily switch to plain cotton lining. We have used metal colour coated varsity snaps on the front of the complete leather letterman jacket for ease of wearing. The stitching is impeccably precise, without any compromise in the quality of the jacket itself. Aiming for a sleek design, we opted for bright red snap buttons. If you want you can use YKK zipper from our jacket builder. Are you looking for something unique? Now you can customize your genuine leather letterman jacket to match your own sense of style or your team/group logo. 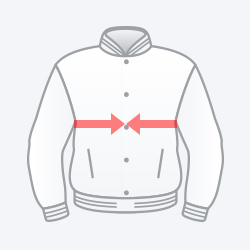 All you have to do is simply upload a particular badge or a logo using our jacket builder, and decide whether you want it on the front, the left or the right chest, the arms or the back, and we will do the rest. Whether you need a felt patch or an embroidered design on your jacket using our jacket builder, our experts will take care of it.